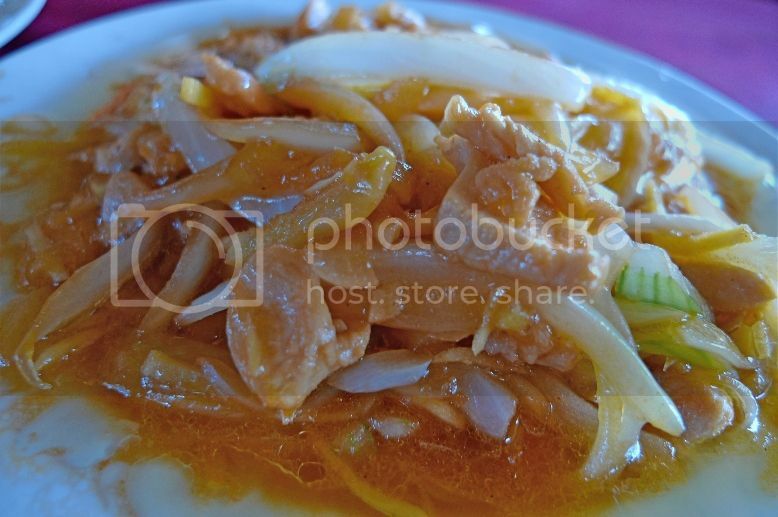 After our descent from Kbal Spean, we had lunch at a restaurant near the foot hill. 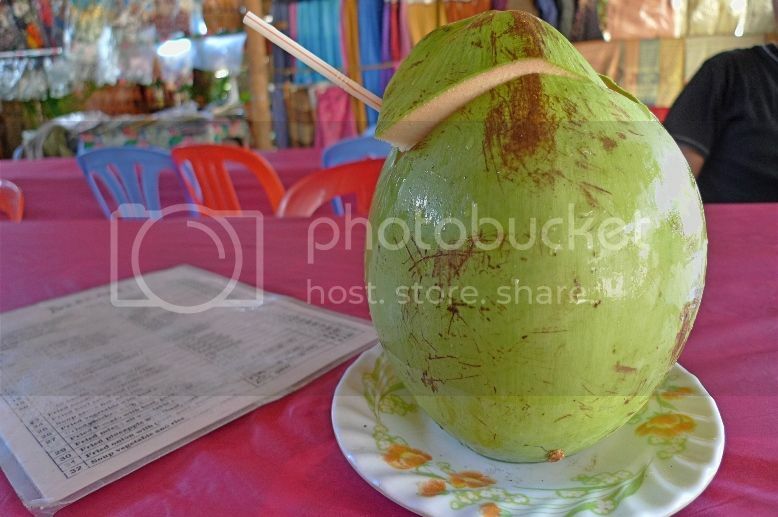 To quench my thirst, I ordered a large coconut. Jam, his friend and I had these for our lunch. 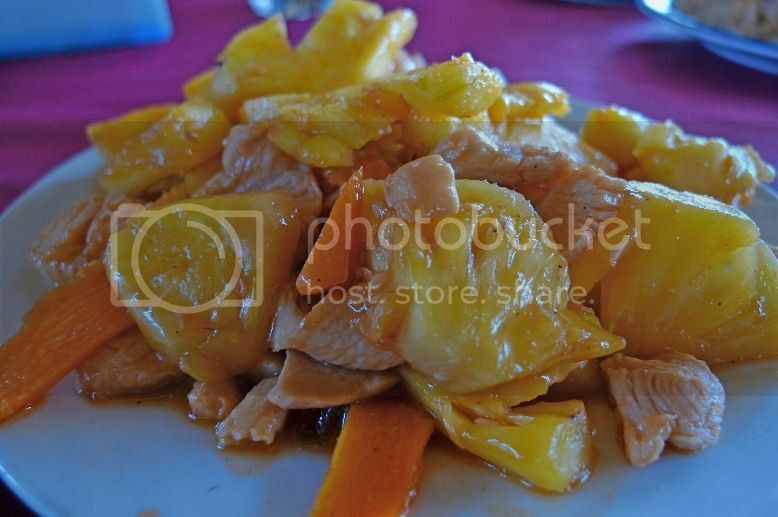 This is fried pineapples with chicken meat. Not sure what this was! Could not remember! Haha! 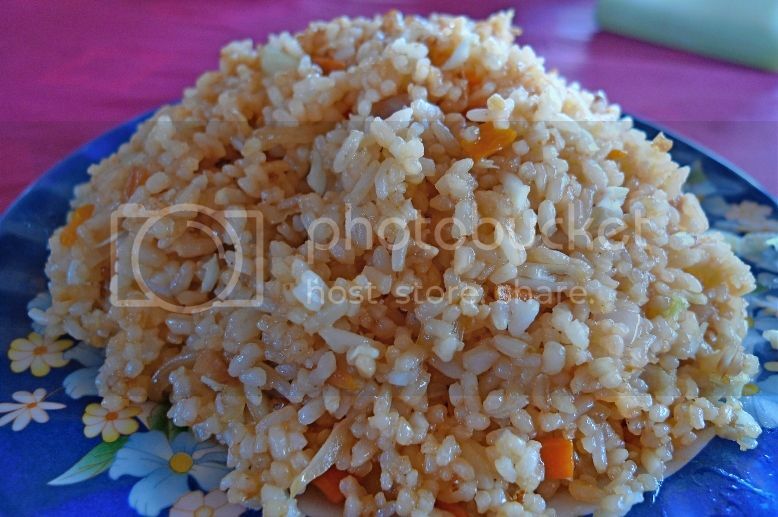 The lunch was nothing to shout about but it did filled our hungry stomachs. 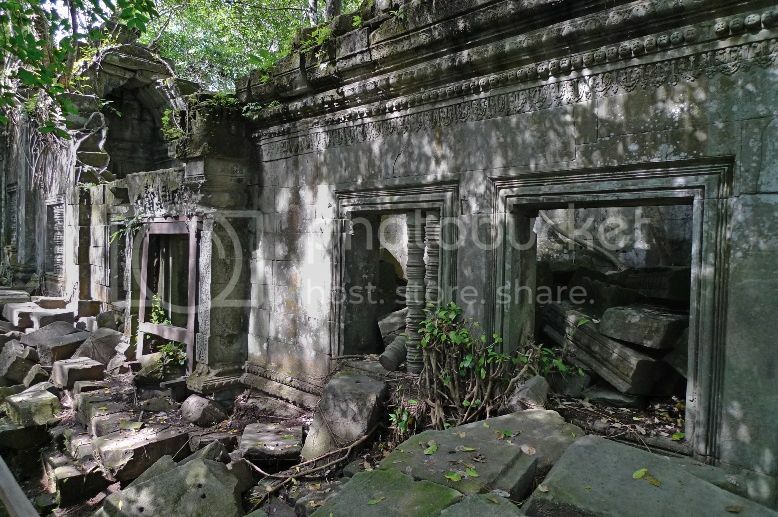 After lunch, we headed to our next destination - Beng Mealea. 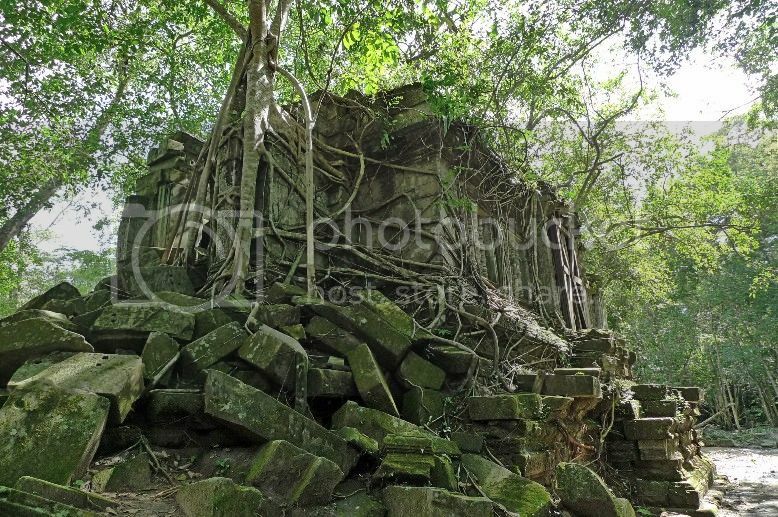 Located some 77km from Siem Reap by road, Beng Mealea is a mainly unrestored temple in the middle of the jungle and is not a popular tourist destination. 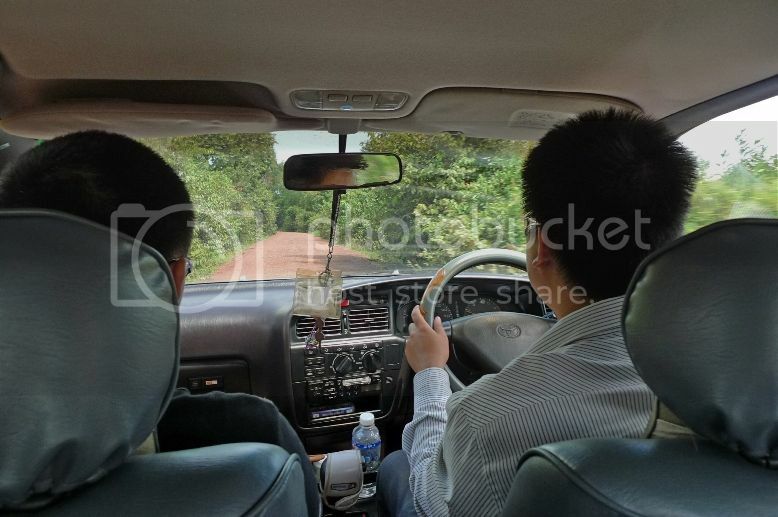 From Kbal Spean, it took our driver Xiao He about one and a half hours to reach there. 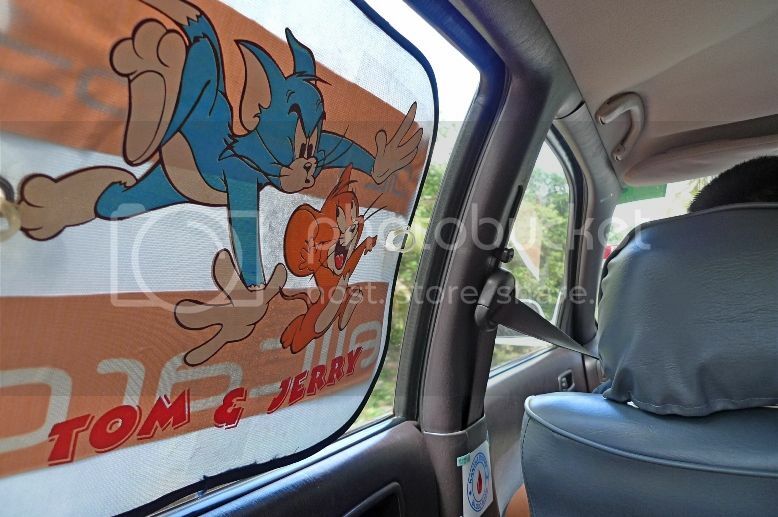 Since it was going to be a pretty long journey, I put on the sun shades on my side window to block out the afternoon sun. I thought a nap would do me some good! 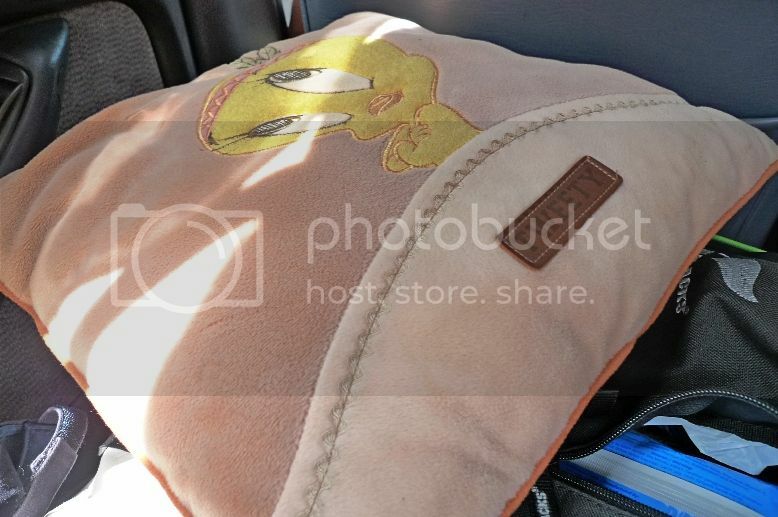 What's more, there was a Tweetie bird pillow in the back seat so I made full use of that for my afternoon nap! Haha! While Jam was busy chatting with Xiao He, his friend and I were busy napping throughout the whole journey. 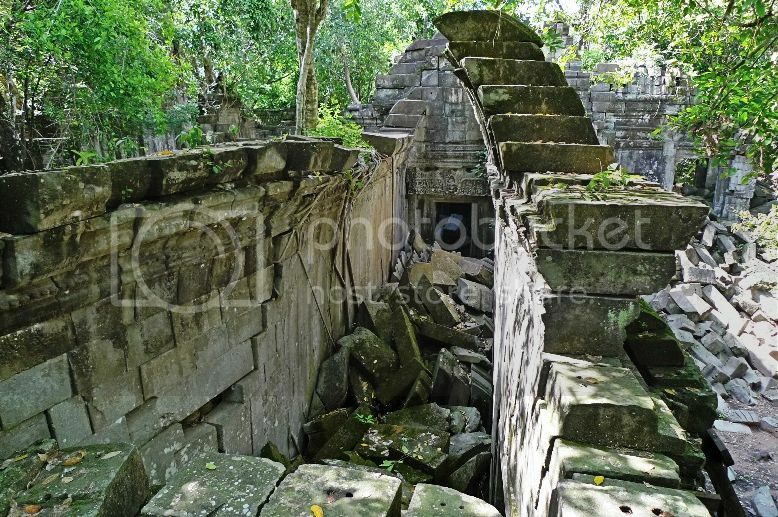 I woke up just in time to see that we have reached Beng Mealea. There was an entrance fee at USD5 per person. 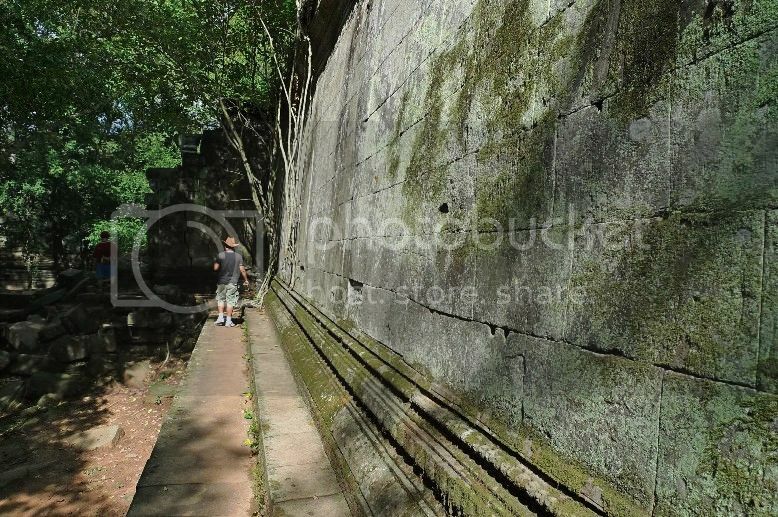 As Beng Mealea is not considered a part of the Angkor Wat Archaeological Park, a separate entrance fee applies. After walking through a long causeway, I saw this notice board. 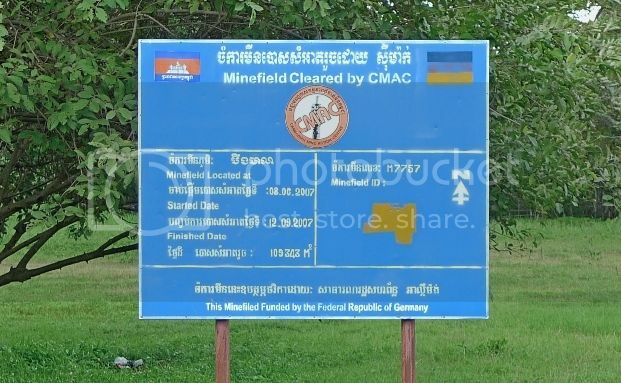 It seemed that previously, there were mine fields in this area. 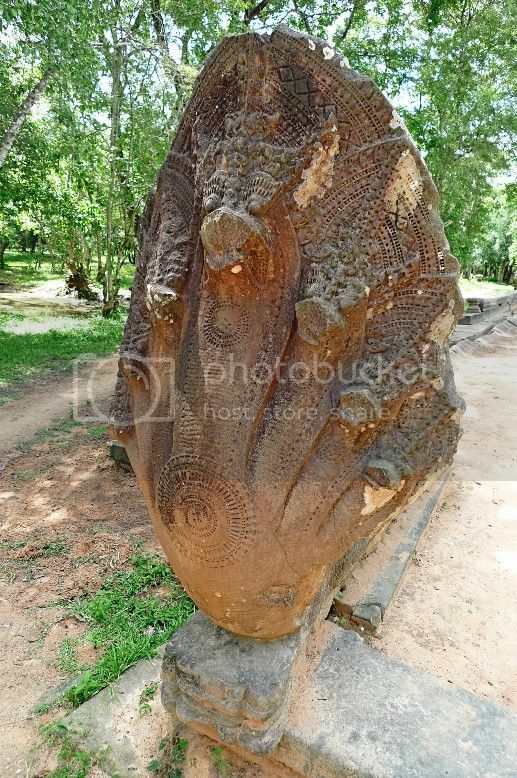 A seven-headed serpent sculpture or naga greeted us. 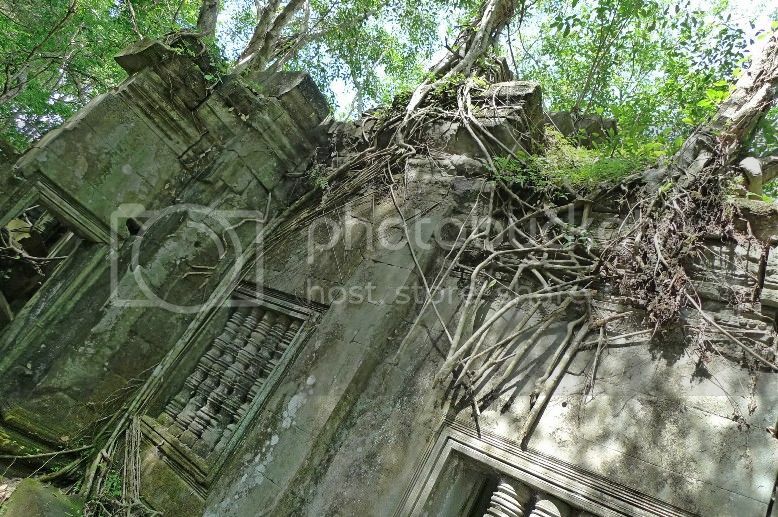 My first impression when I stepped into Beng Mealea was that the whole area was a pile of rubble! 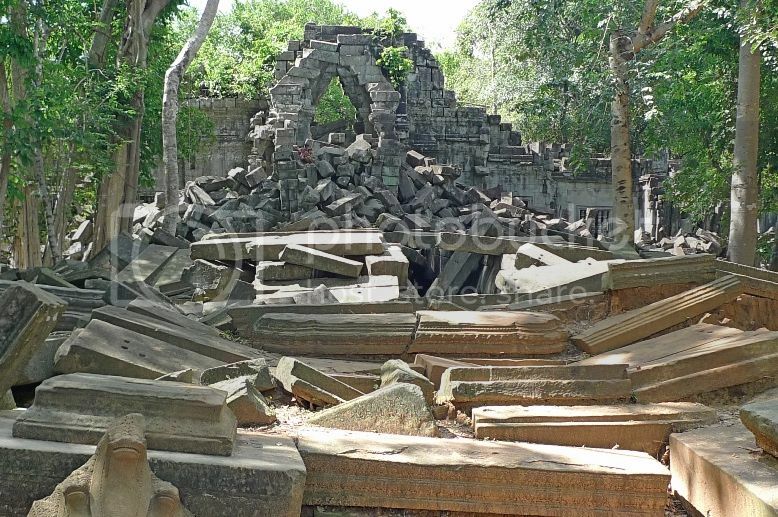 The temple was mostly in ruins! And I came all the way to see piles and piles of rocks!! 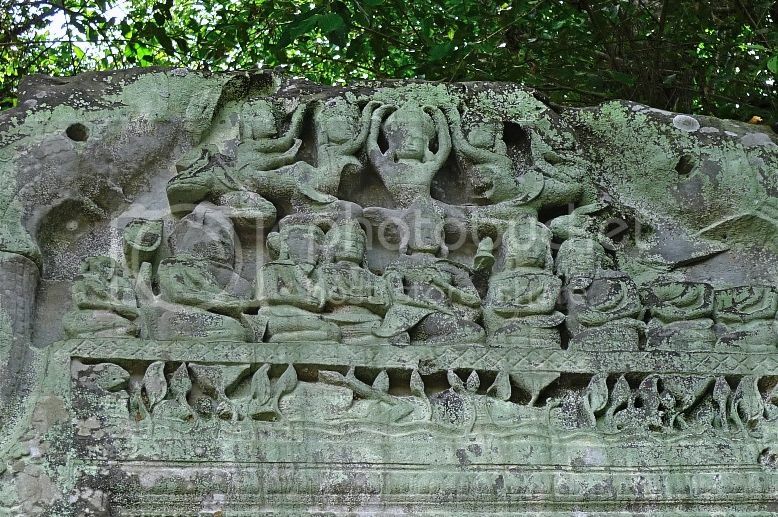 There were hardly any restoration done to the temple structures. 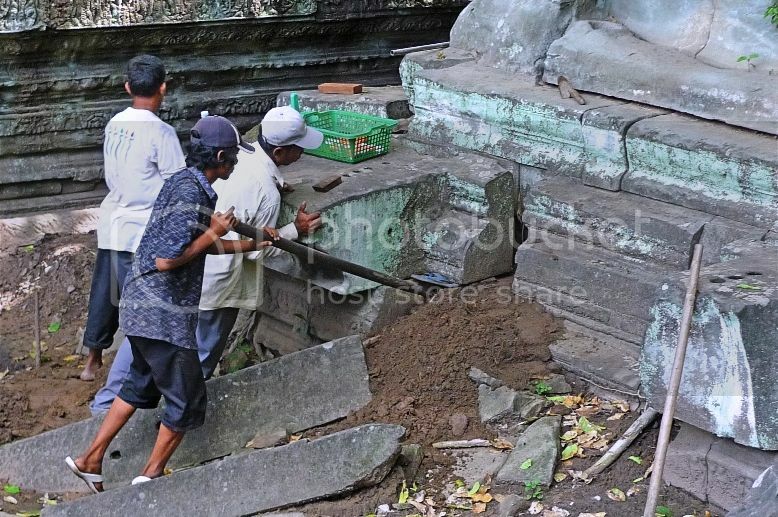 Although during our visit, I could see some workers doing some kind of restoration work. Look at this entrance door being reinforced so that the whole structure does not collapse! Some interesting carvings at the top of the entrance. The place was in total ruin and at times I was not sure what I was stepping on. I was probably walking on the roof top on this one! Climbing up and down those steps were quite dangerous at times. If you were to slip and fall, you would most likely end up with a broken leg! Or a broken skull depending on how you fall! Thus, I would not recommend visiting this place unless you are the adventurous kind! I took pictures of some walls that were still standing. Trees were growing on these walls. Look at those tree roots! 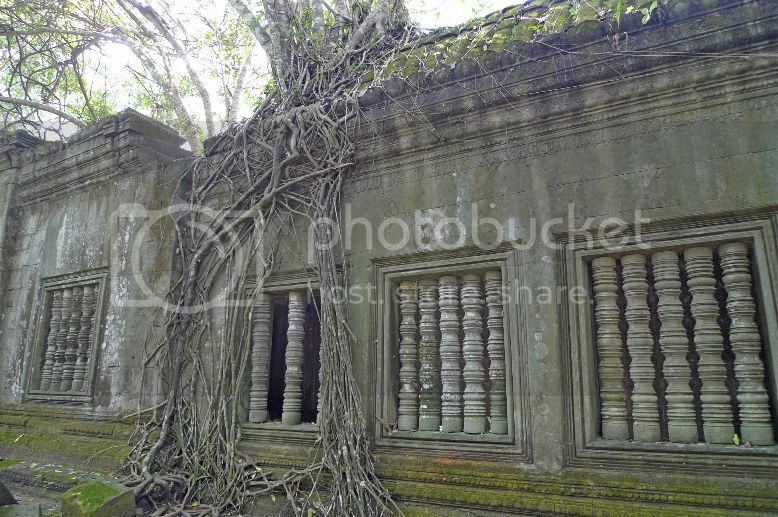 Sort of reminded me of Ta Prohm. It was no wonder that we could spot very few tourists here. Who would want to travel for almost 2 hours to see piles of rocks? LOL! 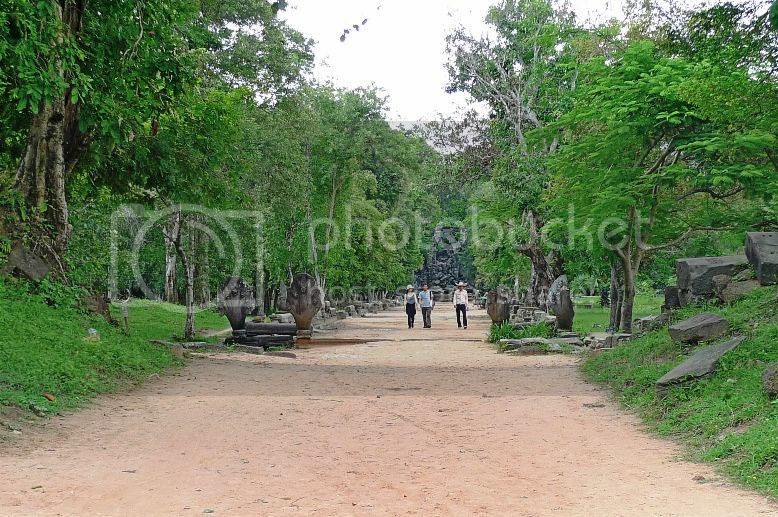 However, the temple ruin was surrounded by forests, making it quite cooling and not as hot as other temples we visited. Walking along the edge of a tall wall structure on my right, I was trying to find a way down. It was quite tricky as fallen and displaced rocks made it hard for us to find the pathway down. 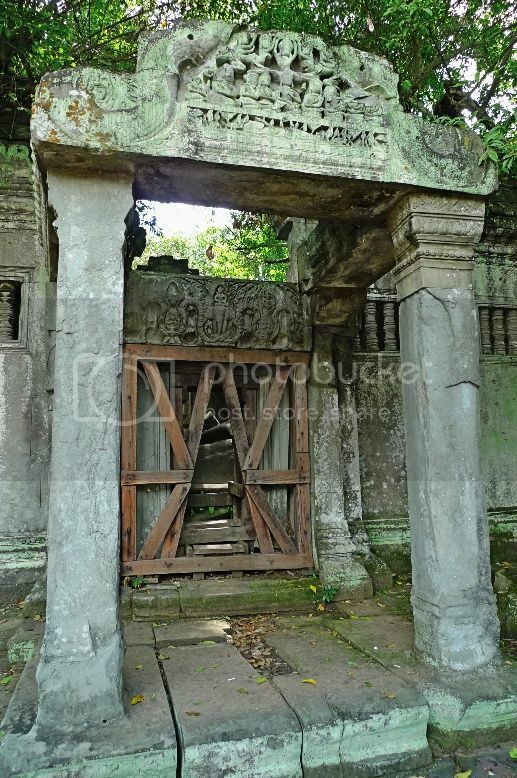 In the end, we managed to make it and ended back at the entrance of Beng Mealea. That was quite an adventure but that's about it. I did not think I gain anything visiting this place. 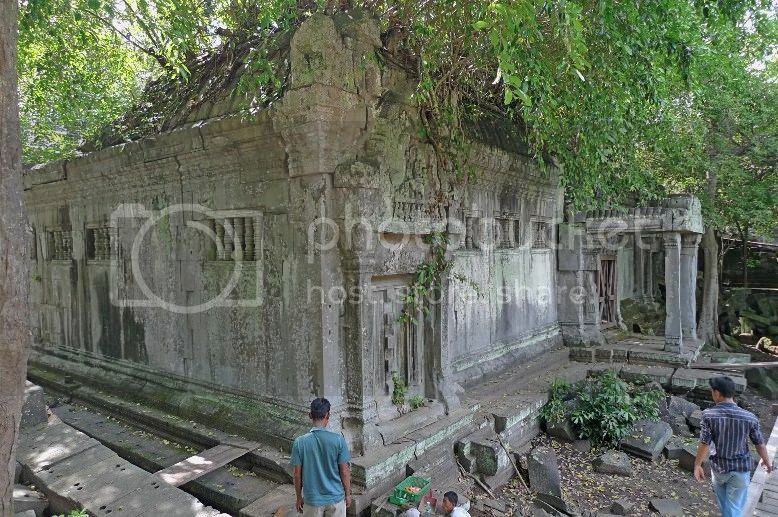 Incidentally, this would be the last temple we visited in Siem Reap. Are you breathing a sigh of relief? Haha! So yes, enough with temples! I was looking forward to see the floating houses on Tonle Sap Lake and that's where we were headed next, so stay tuned!